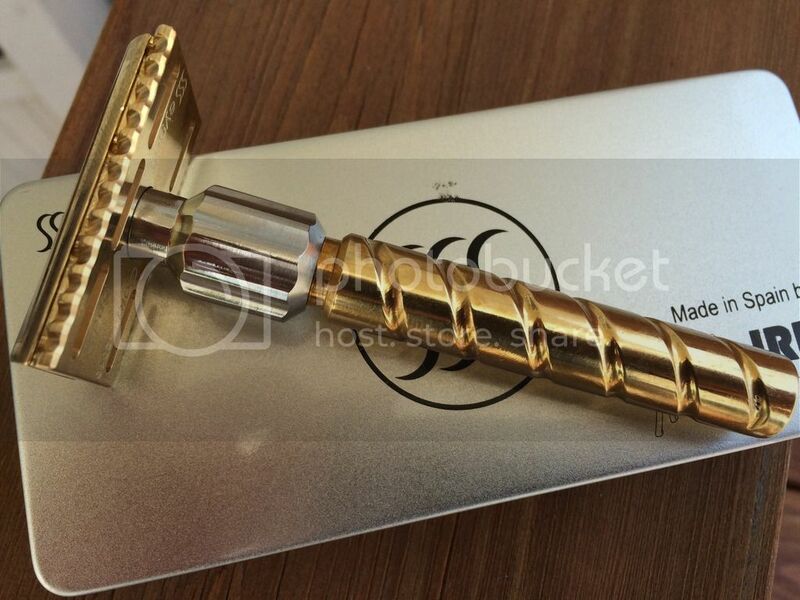 SOLD :Seygus Golden brass closed comb razor brand new. After talking to Phil , lets see if I can redeem myself and post this thread well. 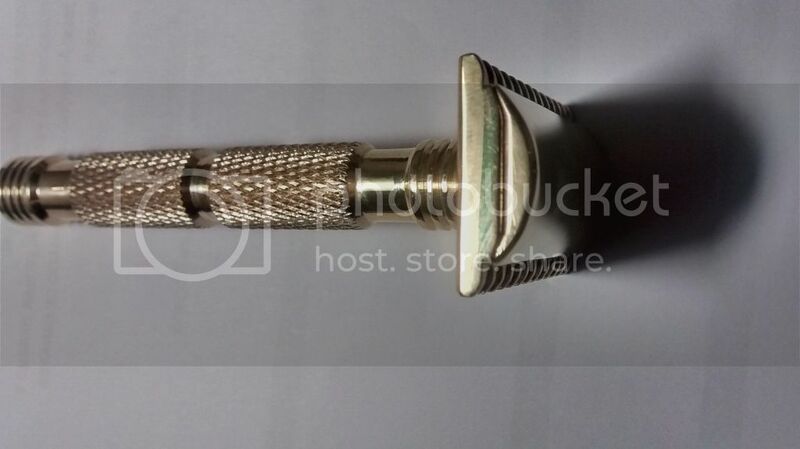 FS : Seygus Golden brass closed comb razor never used. Let me set the record straight : this model/style is NOT longer available for sale.I talked to Gustavo (Seygus) today and the other model (with my respect , not as elegant as this) is for sale but only to foroafeitado.com members (more than 300 messages and on the forum and more than 3 months as a member there).Ill post a pic of the razor that is for sale at Seygus but only available to long term members there.However , I understand what was my mistake on the first sale , and Ill respect the price of the one being offered, which is 99 euros plus 15 euros shipping , around 129 dollars.But , again , only if you are a member of foroafeitado for a period of time , messages etc. So , this is an exclusive model made for foroafeitado , and only 26 of these were made.Yes , is that exclusive. The razor weight is 4.4 oz and 3.5 inches lenght. The money will go straight to help a good friend of mine , as I have been directing the money of my latest sales. If you have any more questions , please ask me. Hope is all clear now.Thanks for looking. GLWTS, and best wishes to your friend, Teiste. (06-12-2016, 04:54 PM)Agravic Wrote: GLWTS, and best wishes to your friend, Teiste. Kind Regards to you , my good friend.Hope all is well , Ravi ! Good luck with the sale Teiste. Glwts. That's 2 different razor to me with the one you are selling a much better looker. Gentlemen , thank you o much for all the pms and support messages.I truly appreciate them. Thanks to the buyer and TSN.